Diederik Veenendaal gave a lecture at MVRDV on Thursday March 7th at 17:00, speaking about digital design to fabrication, using his previous and current work, and placed in the historical context of form finding strategies. 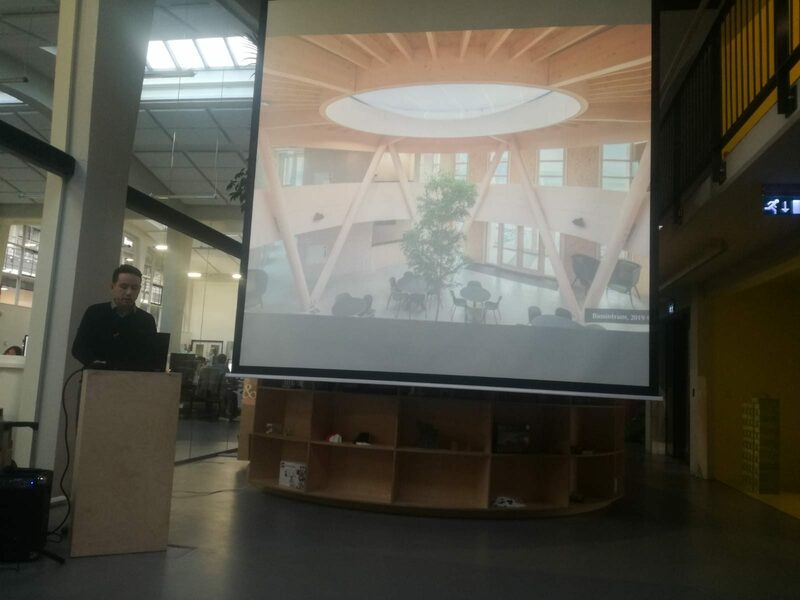 Two other evening lectures were given by Pirouz Nourian, assistant professor of design informatics at TU Delft, faculty of architecture, and Arend van Waart, independent designer and programmer. Originally invited by Nathalie de Vries, partner and co-founder of MVRDV to speak at her office, his lecture ultimately became part of MVRDV’s inhouse event Next Week – a series of events thematically centered on digital tools, fabrication and virtual explorations, hosted by Next. MVRDV Next, a research driven group within the firm that focuses on emerging technologies, algorithmic design and future narratives, run by Leo Stuckardt, architect and lead computational designer, and Sanne van der Burgh, senior associate, together with a small team of architects and urbanists. The events of Next Week ran throughout the entire first week of March and ranged from lectures and (short) workshops to screenings, installations and a gaming night. It’s also the neighborly thing to do, as Summum Engineering is in the same building complex, Het Industriegebouw. Check out the original Dezeen article about their gorgeous office, which they moved into back in 2016. #donotsettle, a Youtube channel I follow, visited their office last year, and, as always, posted a video on steroids about it.